I love Christmas movies so so much! I even like those totally lame ones they play on ABC family and Lifetime. Then again, I am always game for a trashy Lifetime movie. Throw in a Christmas tree and it's so bad it's good. 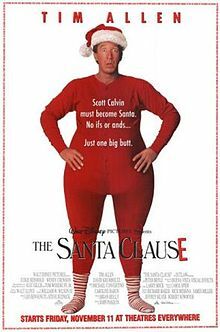 So let's talk Christmas movies. Sorry Lifetime, there is no room on my list for your fantastically terrible movies. These holiday movies are the best of the best. 1. Elf. Seriously, duh. I can't not laugh when I watch this one. Favorite scene: I guess it's not a scene, but I seriously almost peed my pants the first time I watched this and Buddy got slammed by the taxi in the middle of the street. So I guess that tells you something about me. In the midst of all the funny quotes and clever comedy, my favorite is someone getting hurt. Merry Christmas! 2. White Christmas. I love the music and singing and dancing and costumes. It is so festive and heart warming. Favorite scene: The "Sisters" song that Betty and Judy sing. 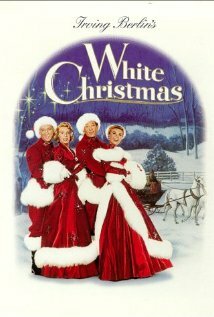 Then again the war scene where they sing "White Christmas" is also fantastic. Just watch it. 3. Home Alone. As a 90's child, I would be doing my generation a disservice if I didn't have this on my list. My sister and I would watch this movie over and over when we would visit my grandparents. It reminds me of my grandpa (he thought it was hilarious when the robbers got hurt - maybe that is why I think people getting hurt is so darn funny), so besides being a really good Christmas movie, it holds a special place in my heart. Favorite scene: Too many. The whole movie. My post, my rules - so my favorite scene is the whole movie. 4. Little Women. I don't know if this is really a Christmas movie, but there is a great holiday scene where the girls - ahem, little women - take their Christmas breakfast to a needy family. Mainly I just love this movie because it reminds me of watching it with my sister when we were little. I probably forced her to watch it, but it was for her own good, so I don't feel bad. Favorite scene: I don't know - I just love the whole movie - the costumes and the sets and the acting and the story. Two in a row that the whole movie is my favorite scene. 5. The Santa Clause. Another classic around here. Nothing clever to say about this one - I just like it. Favorite scene - I like when Scott visits the North Pole for the first time - it is just magical! What about you? What are your favorite holiday movies? I love Little Women too. 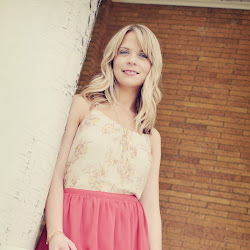 My favorite scene in that movie is Jo meeting Teddy at the party or when Beth gets the piano. tinajo - We watched Polar Express with my son and he was just entranced by it. It will definitely be a favorite around here! I think we might be quite alike. 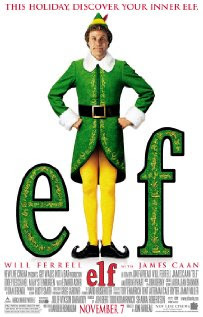 :) I've already watched Elf a few times this year, just watched Little Women over the weekend (its Christmas-y to me too! ), and plan to watch The Santa Clause this coming weekend for family movie night. 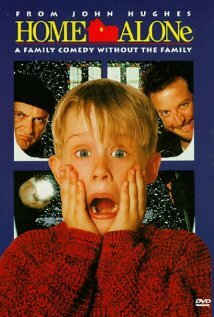 Now if I could only find a place to rent Home Alone. Why I don't own that one I will never know. I love It's a Wonderful Life...I cry every time! You have to watch Love Actually...that's one of my favorites too. Now that I think about it I'm going to watch it tonight! 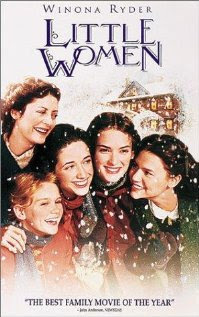 I've never seen Little Women, but the book was actually written in my house (yes I live in a very old house in NYC, lol), the rest of those are very fun movies! !